I have sat through a great deal of bad horror movies and generally try to provide the readers with something positive, understanding that judgment is ultimately a subjective experience. Normally, I take an excessive amount of notes making sure that I mention as many positives as I can negatives. Upon my first viewing of The Evil Gene, I ended up with three sentences. One of those sentences simply stated that this was an obviously low budget production. Utterly dismayed by the fact that I had literally nothing to say about this motion picture other than it was average, I sat through it a second time. My final conclusion is a revelation that should please some individuals, which is that a woman can write and direct just as bad of a movie as a man can. The story involves an FBI agent sent to a special prison in order to investigate the suicide of the doctor that was running the facility. The gene that results in psychotic behavior and violence has been discovered and special research is being conducted at this facility, with some of the most violent criminals in the country being used as test subjects. On paper the concept sounds slightly intriguing. The problem is that there are so many plots holes, issues with the procedural behavior of the prison staff, and other questionable decisions by characters that I could go on for several paragraphs if we weren’t in a spoiler free zone. It ends up turning into an X-Men type psychological thriller with the possibility of demons and a possessed prison. Hi. My name is Richard and I'm a crappy actor. The camera work is standard fare and there is nothing particularly strong about it. There were several decent establishing shots of the prison and a couple of times involving some camera movement, but for the most part it was just typical camera placement shots. The lighting was adequate and there were moments when there was some nice shadows going on. The score mainly consisted of random noise that was meant to be jarring or suspenseful, yet didn’t really increase any level of tension in the scenes. The actors were all average at best. 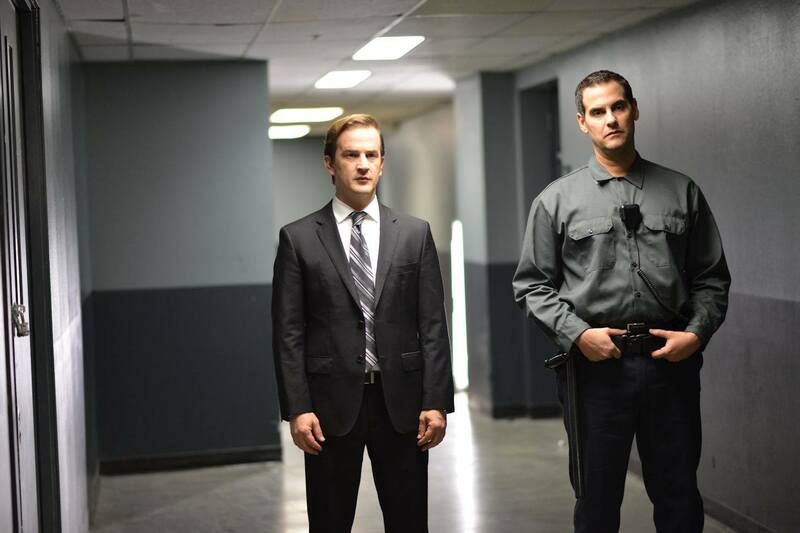 Richard Speight Jr. played the lead FBI agent and he just didn’t seem believable in that role. The other main co-star was Cameron Richardson as a doctor at the facility and she goes through the motions, but isn’t going to blow anyone away with her portrayal. The rest of the supporting cast fails to elicit any mention for providing a standout performance. There are several moments that have an element of creepiness; however it’s not enough to make this one worth recommending.